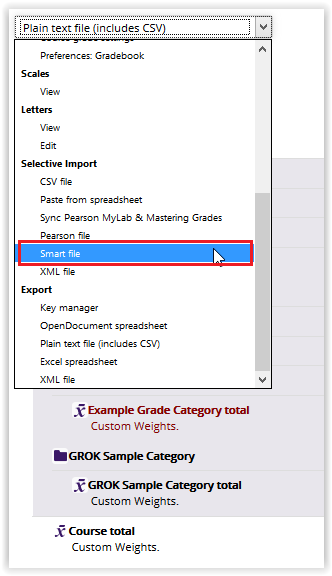 The Smart File Importer allows instructors to quickly upload grades to a graded item to Moodle by using a CSV or TXT files. Note: A graded item will need to be created in the gradebook before the grades are uploaded. NOTE: Your file should be saved as a .csv OR a .txt. 1. Log in to Moodle, and access the desired course. 2. 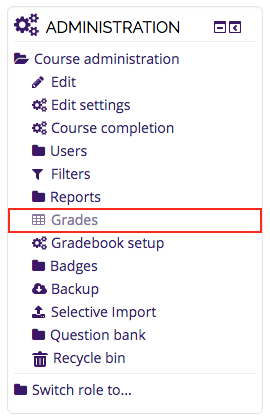 In the Administration tab to the left of the screen, select the Grades option. 3. Open the drop down menu at the center of the screen, and choose the Smart File option under the Selective Import header. 4. 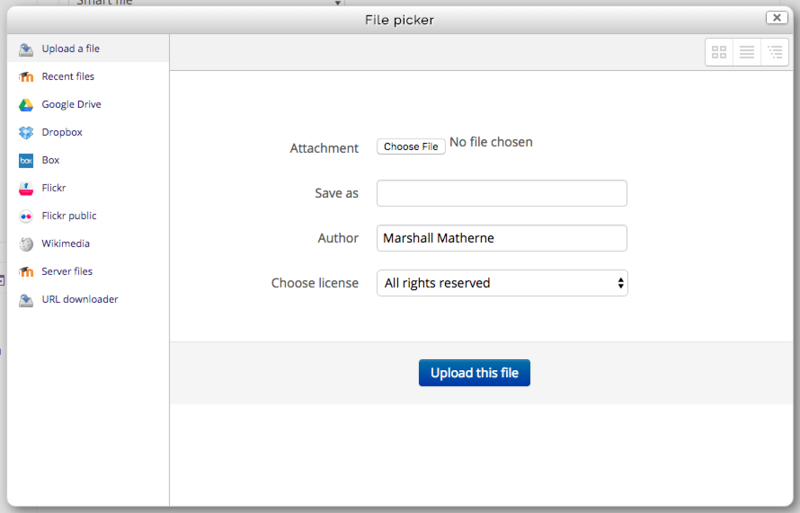 There are two options for uploading a file. You may select the Choose a File button at the top left. 5. In the file select window, click the Choose File button. 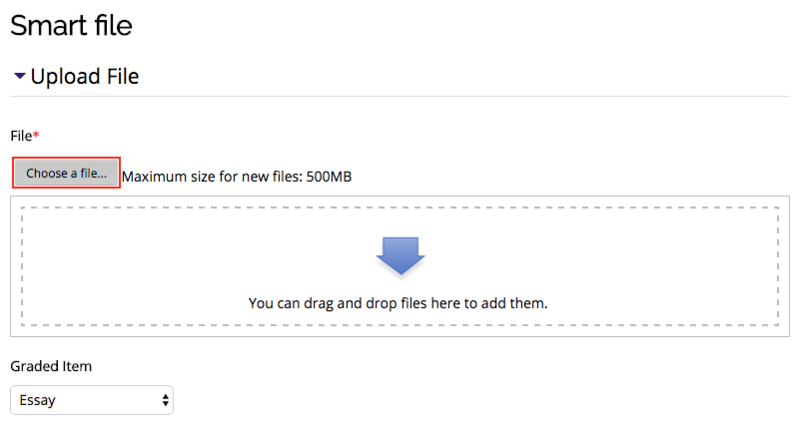 Select the file you want to upload, and click the Upload this file button. 6. Choose the graded item from the drop down menu.